Takes 75 Minutes , serves 6. 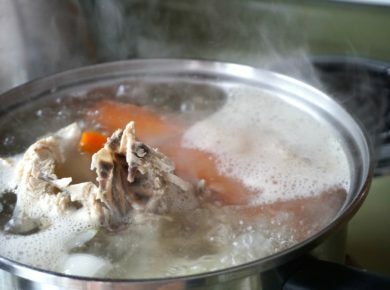 Prepare the chicken stock: Place the carcass and vegetables into a medium-sized pot. 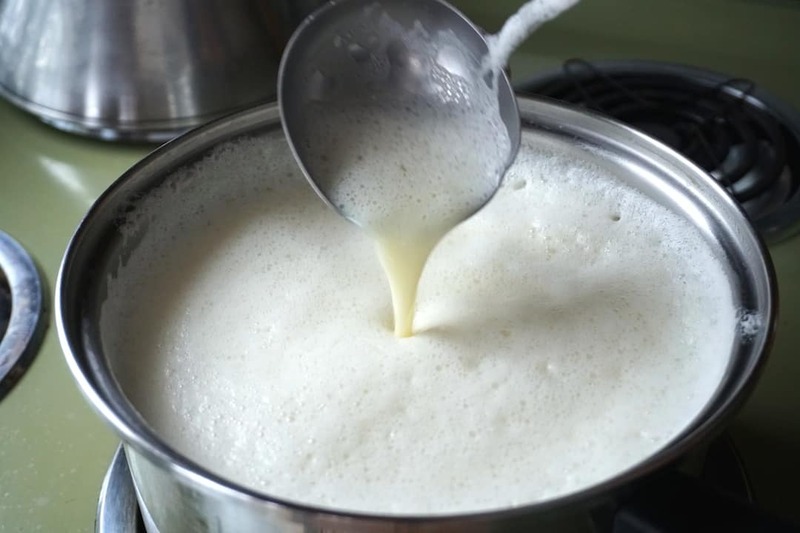 Add the water and bring to a boil, skimming away any foam that rises to the top. Reduce to simmer, cover and cook for an hour. Strain. 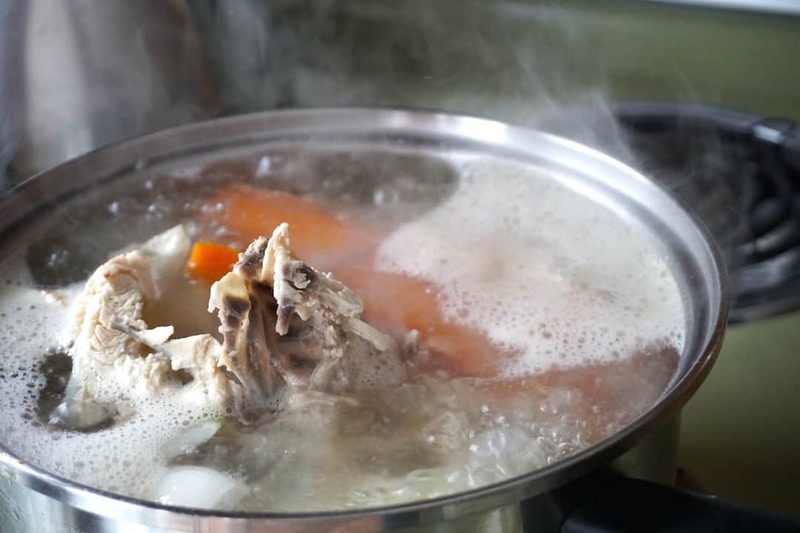 Discard the solids and return the hot chicken stock to the soup pot. Return it to stovetop on low setting. 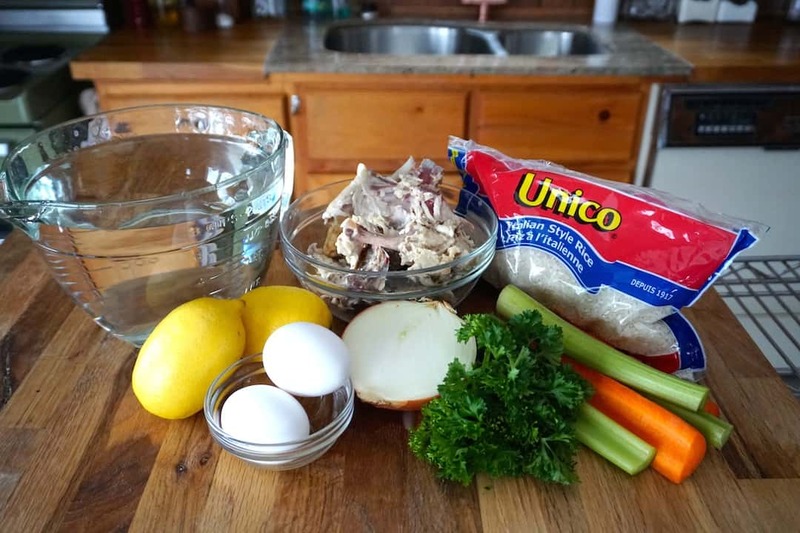 Prepare the soup: Carefully transfer two cups of the hot chicken stock into a large measuring cup and set to the side. Add the cooked rice to the remaining broth in the soup pot and stir. Taste and adjust flavour with salt. 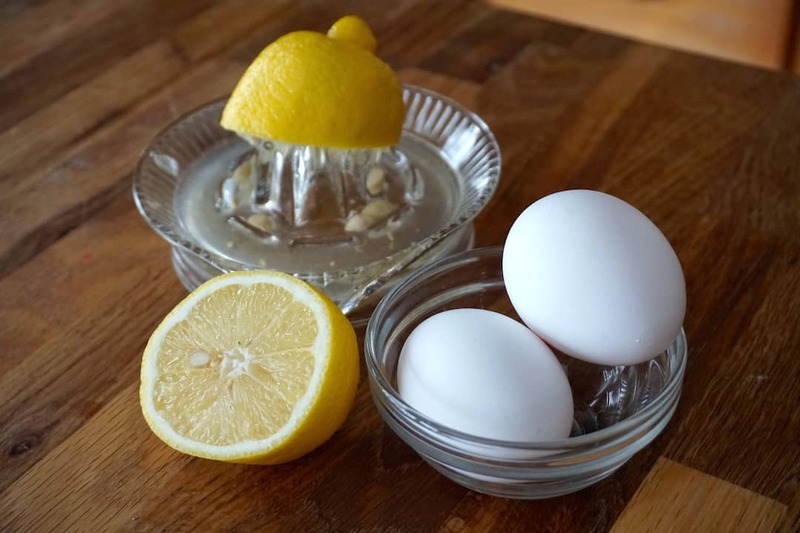 Crack the eggs into a medium-sized bowl. 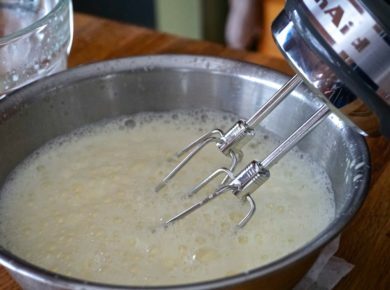 Using a hand mixer, beat until light and bubbly. 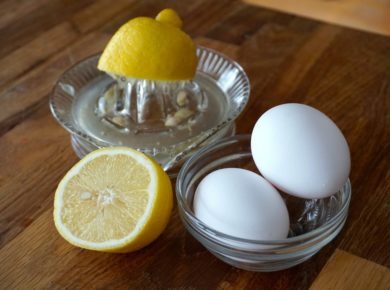 Continue mixing and slowly drizzle the lemon juice into the bowl, incorporating it fully into the eggs. 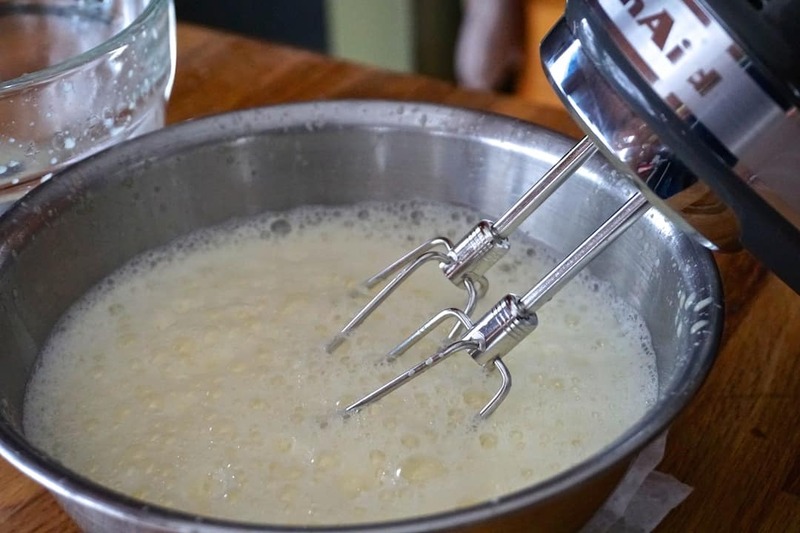 With the hand mixer running on medium, slowly pour the hot stock into the egg and lemon mixture until light and frothy, then slowly add this mixture to the soup pot, stirring until incorporated. 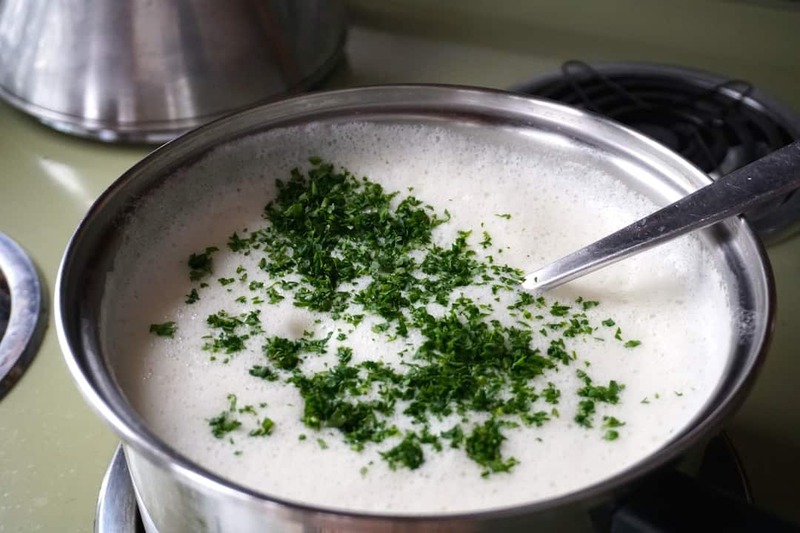 Add ¼ cup of chopped parsley and stir. Serve immediately, garnished with additional parsley and lemon zest. 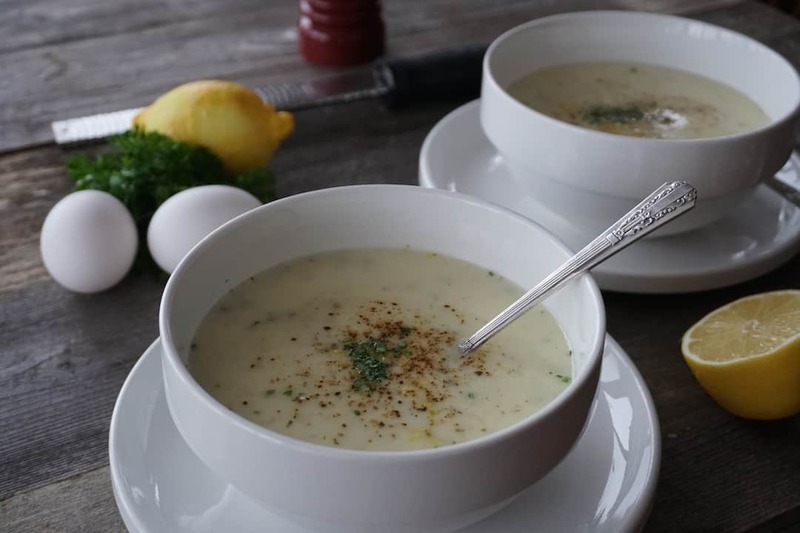 Centuries in the making, this Greek AVGOLEMONO SOUP RECIPE is a classic. I swear, this soup is so good it’s practically legendary; this recipe should be revered like a Greek god of culinary mythology. 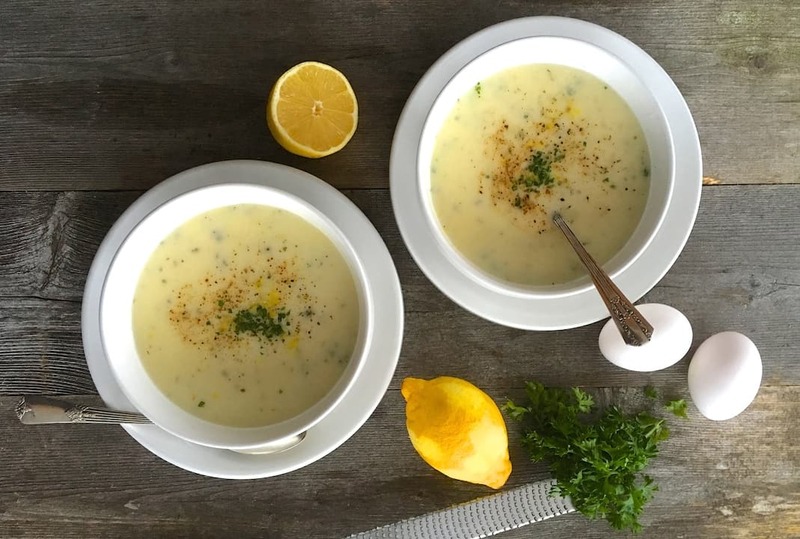 Leave it to the Greeks to create AVGOLEMONO SOUP, something so delicious. This recipe is pretty straightforward but the process does involve a few steps where I’ll remind you to go slow. There’s no need to rush, so take your time; I know you’ll have great success. I tend to make this recipe exclusively with chicken stock. It’s traditionally made with either chicken or lamb stock, so feel free to go with lamb, if you wish. I tried to make the process easy so I used a chicken carcass as the base. I make stock this way often and have containers of it at the ready in the freezer. Keep this in mind and you’ll be able to make this recipe at a moment’s notice. 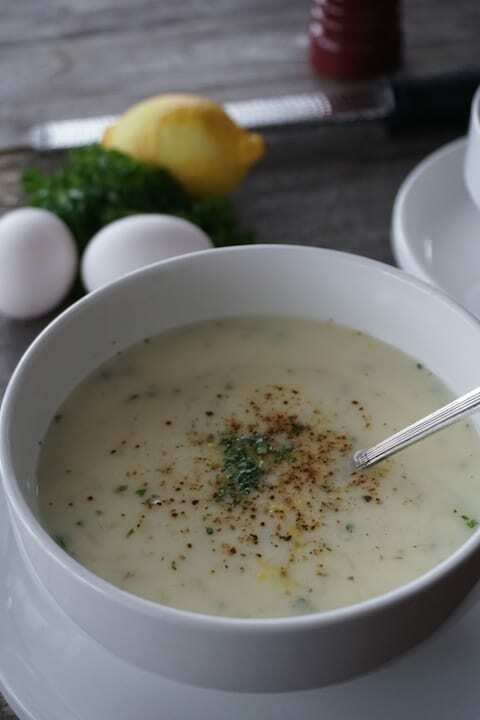 I expect a comment or two about my use of short-grain rice instead or orzo for this AVGOLEMONO SOUP recipe. 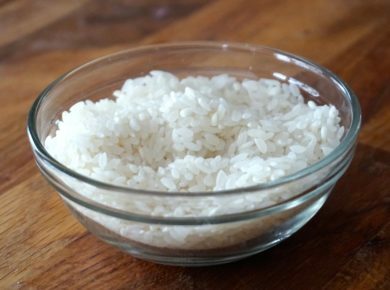 The rice gives the soup a ton of texture and also holds up when reheated. Sometimes orzo, which is pasta, can get too starchy or gummy – I’m simply not a fan. 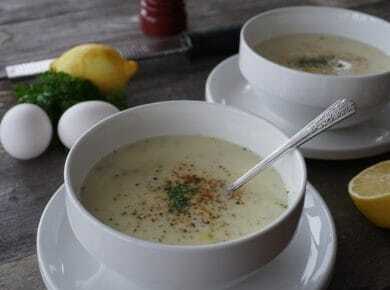 The use of lemon and eggs to create AVGOLEMONO SOUP is brilliant, no other way to look at it. 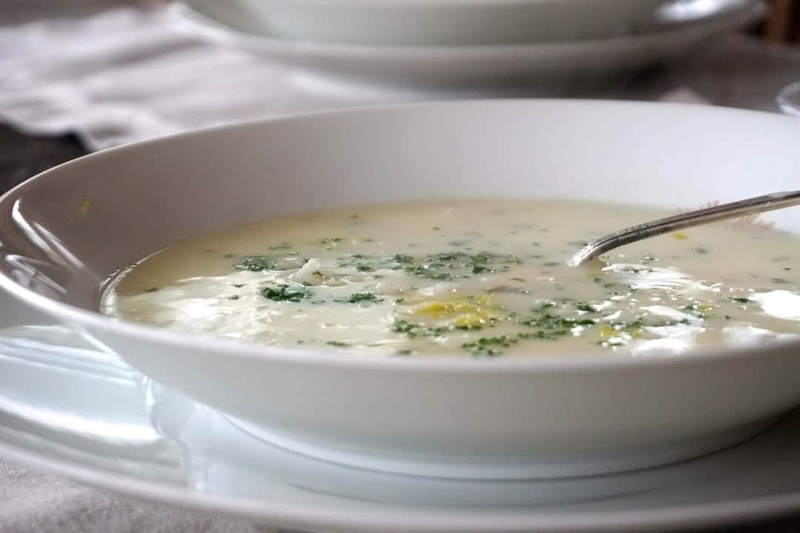 If you’ve never tried this soup you’re definitely in for a treat. The taste is unmistakably fresh and the lemon gives it a brightness and zing beyond compare. Make sure to watch the VIDEO we created to accompany this story. My Greek friend Helen has a special trick she urged me to try that ensures the lemony eggs get frothy in the broth instead of curdling. Go ahead and laugh as you watch, but it worked! 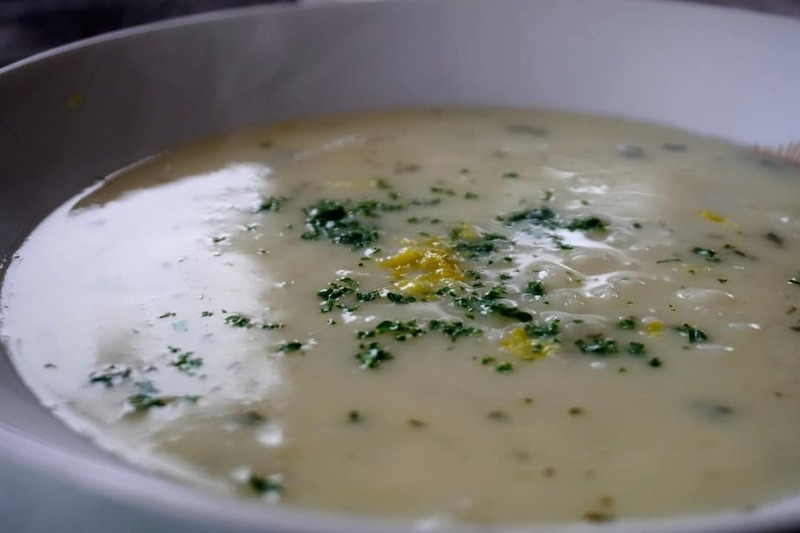 Creating a frothy broth is the key to this recipe’s success. Let’s keep things really simple: a sprinkle of parsley, a dash of lemon zest and a titch of black pepper. This relaxed garnish is a great compliment and invites us to simply dive in and enjoy. 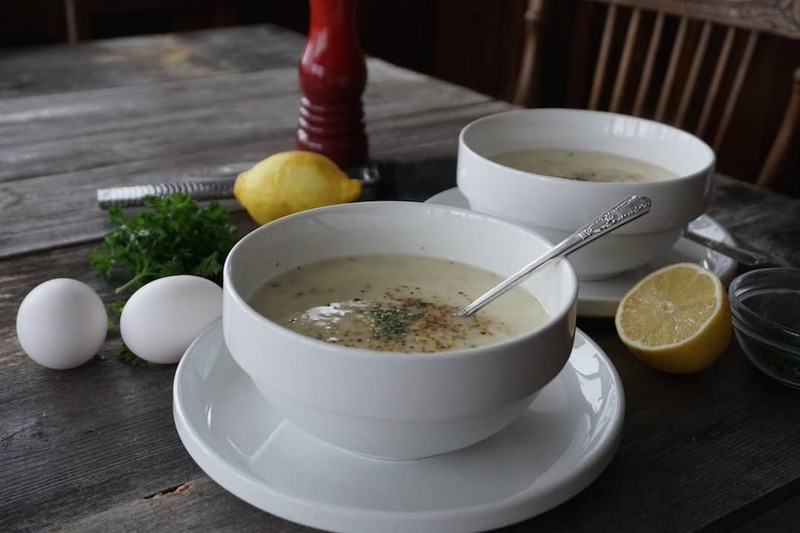 You might find this soup is perfect as a standalone meal, but if you’d like a few additional suggestions on what to serve with it, here are some favourites. In keeping with the Greek theme – try these WARMED SPICED OLIVES or our very tasty GREEK SALAD. Sounds like a plan! 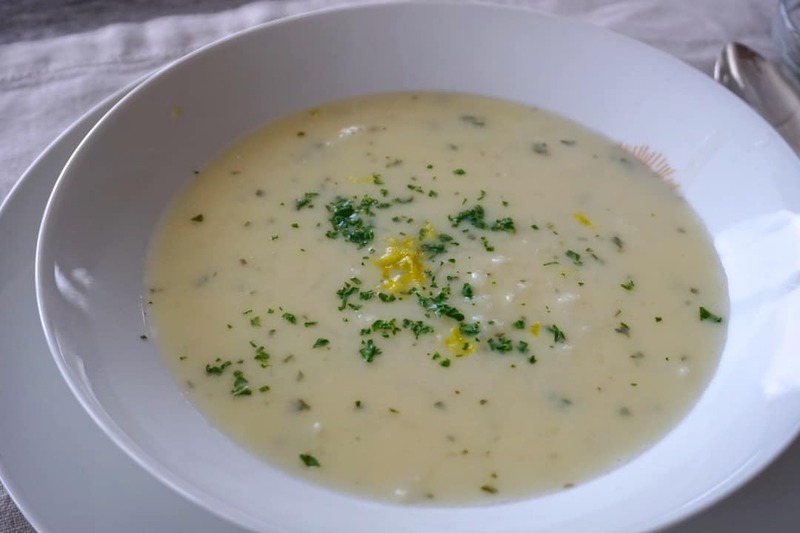 An easy lemon chicken soup like no other, try this AVGOLEMONO SOUP RECIPE. Let’s enjoy the superior taste of classic Greek cuisine.